We are offering trolley mounted bitumen smulsion sprayer. 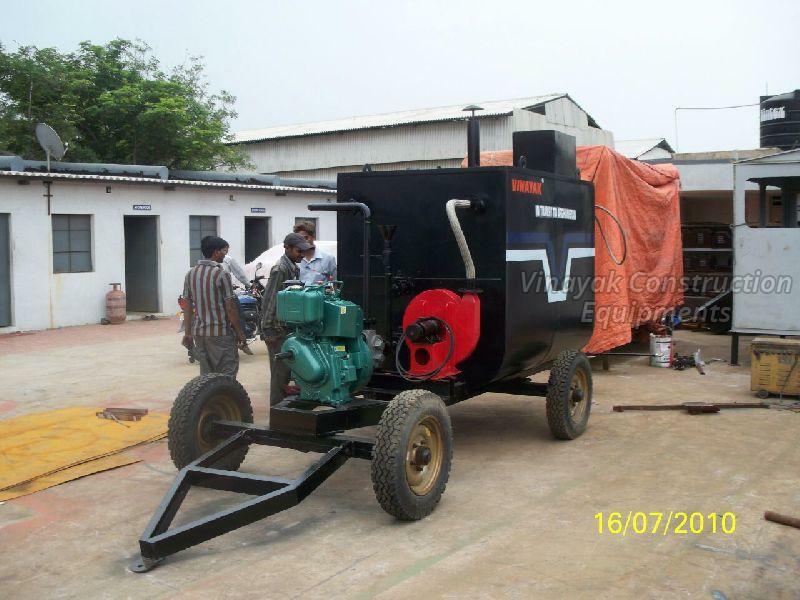 Diesel engine - kirloskar make air cooled 8 h.p. It will be mounted trolley wheel size 9.50, 16.2 nos. 7.50, 16.2 nos. l.a. P. Burner system & also wood fire facility. S.S. Corrugated flexible hose pipe 2.5 miter long. Dial type temperatures meters available. Hand spray bar mounted on chassis.